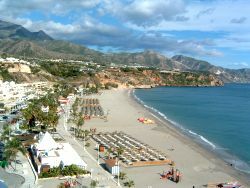 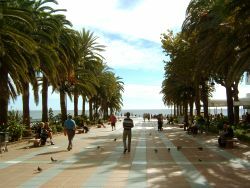 Situated at the eastern end of the Costa del Sol, approximately 50 Km east of Malaga city, the fishing village of Nerja has grown to become a popular tourist destination with sandy beaches, clear water, and plenty of watersport on offer. 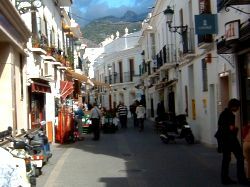 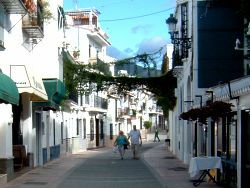 There is still a virtually unchanged old quarter to the village with narrow winding streets and whitewashed houses. 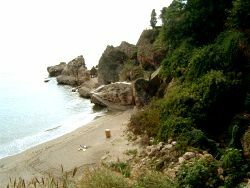 Nerja is well known for its Balcón de Europa, a cliff edge promenade that was once the site of a moorish castle, and the caves just 3 Km away. 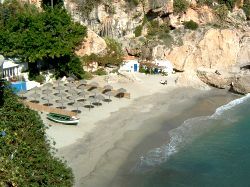 The Nerja caves are home to cave paintings dating back 20,000 years and one large cave is used as a concert hall. 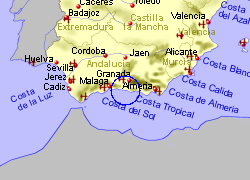 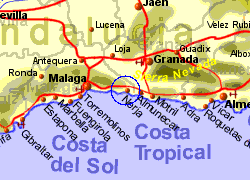 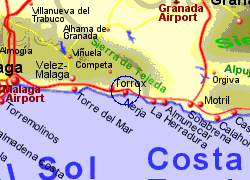 Map of the Nerja area.